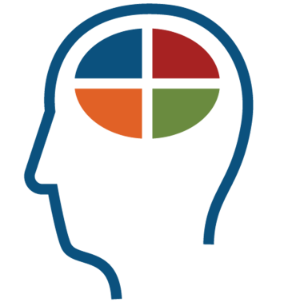 As a welcome gift you will immediately receive a coupon code for $5 off your personality assessment! 100% FREE, always. Take the test and see where you fit in the body of Christ. 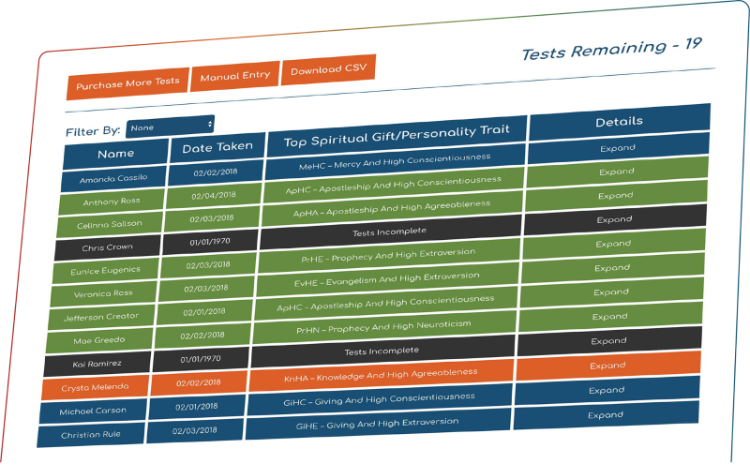 See how your personality and spiritual gifts work together. Get a 28-page custom profile today. 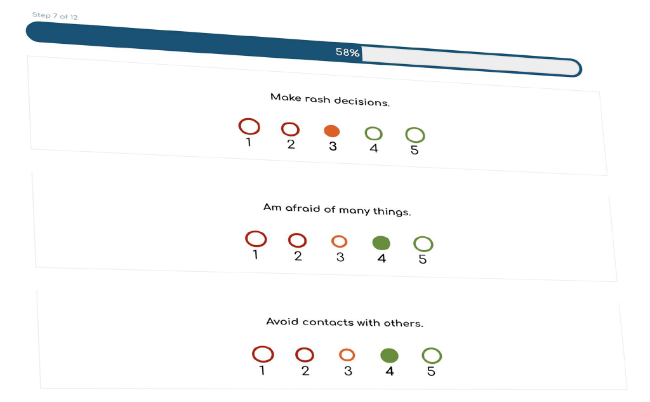 Simplified test result management. 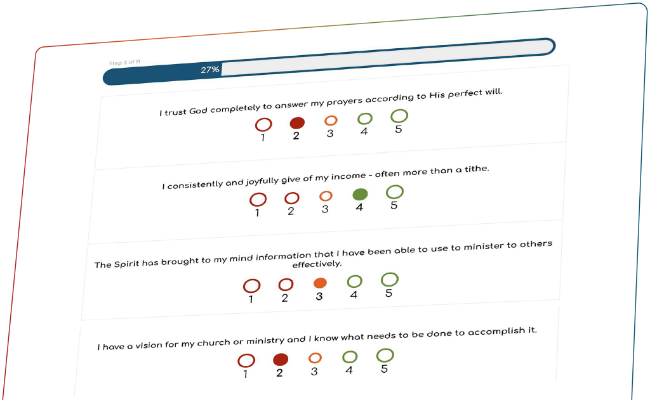 We make it easy for you to see your entire church’s results in one place. Click here to take the 7-lesson online course today! God wants us to be involved with His work. He is so gracious that by His Holy Spirit He freely distributes spiritual gifts to all who are saved. He not only wants us to know our spiritual gifts, but He expects us to grow in them each day. He gives us opportunities every day to put our gifts to use and bless others. Will you seek a way to show the love of Christ and bear much fruit for Him today?